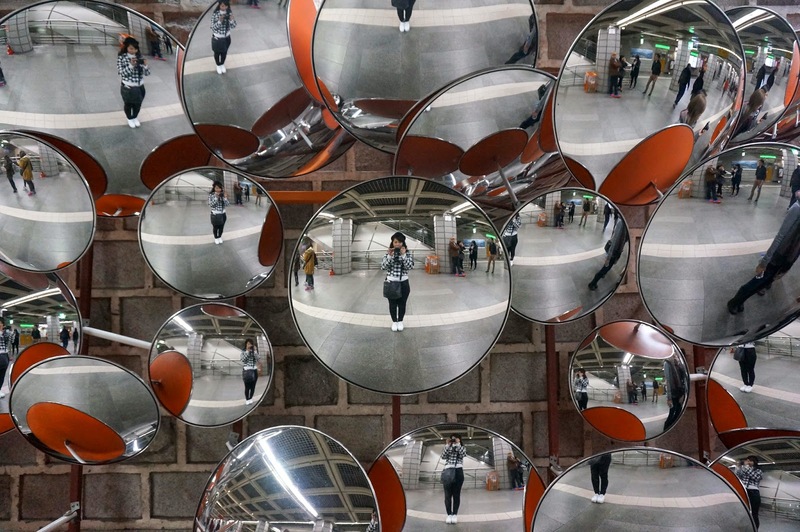 Walk with ChaMike in Seoul South Korea | Seoul Subway. Getting around Seoul is easy. 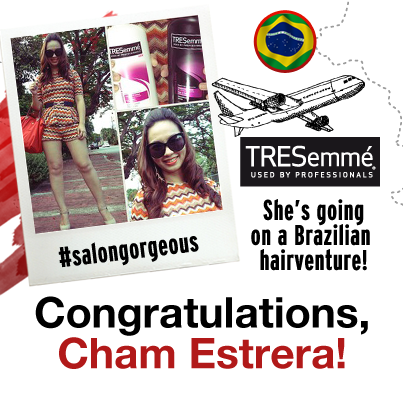 ChaMike's main source of transportation is through the Metro Line or subway. For us, subway trains are more convenient, cost efficient (than taxis) and faster way (than buses). But first you have to consider some pointers. Single Journey Ticket is a card for single route transaction. Once you use it you'll have to purchase another one not unlike the T-money Card. T-money Card or T- card is a prepaid transit card that you can use multiple times until the balance ran out and you can even reload it. 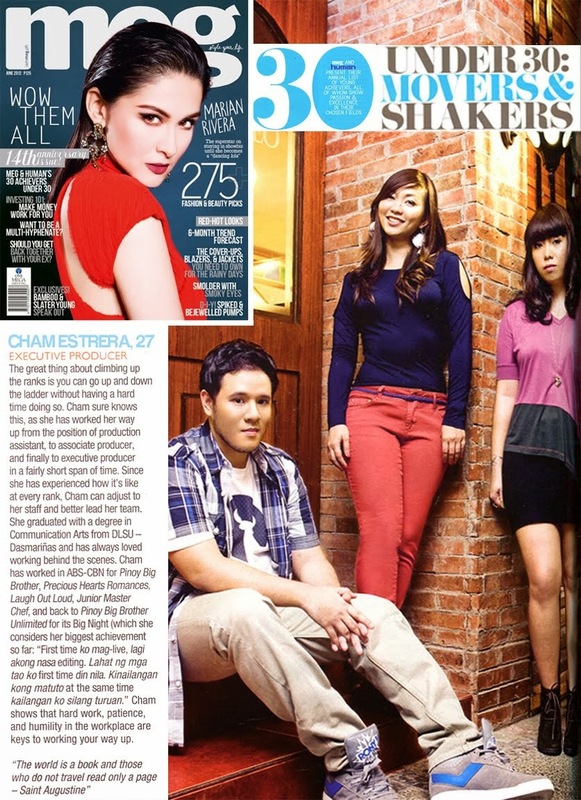 ChaMike opted the latter of course. 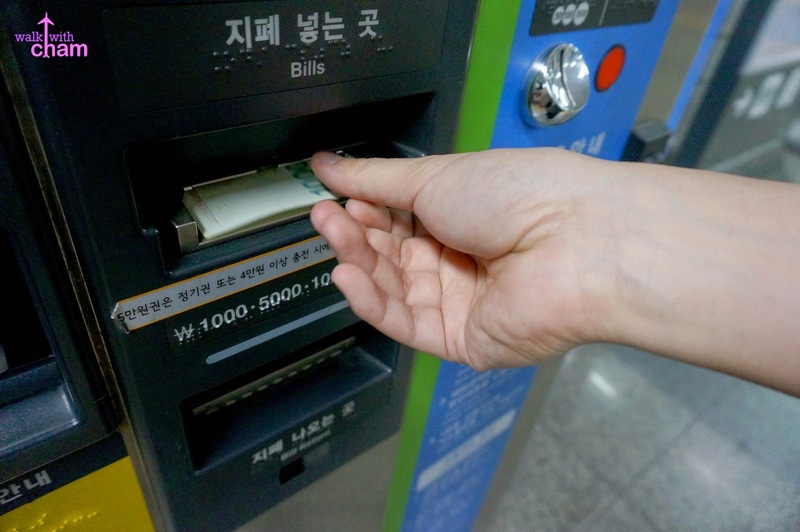 - Look for a T-money Card Vending machine, almost all subways have that. - Just follow the simple instructions on the screen (don't forget to change the language to English). - Voila! You have your own T-money card. 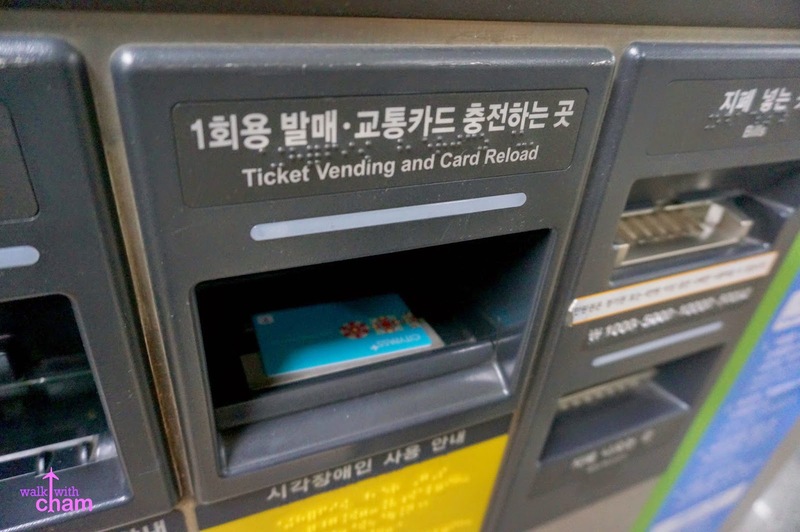 -Look for any Ticket Vending Machine and find the slot that read- Ticket Vending and Card Reload. -Leave your card there and when detected the screen will automatically prompt you on the amount you want to load. 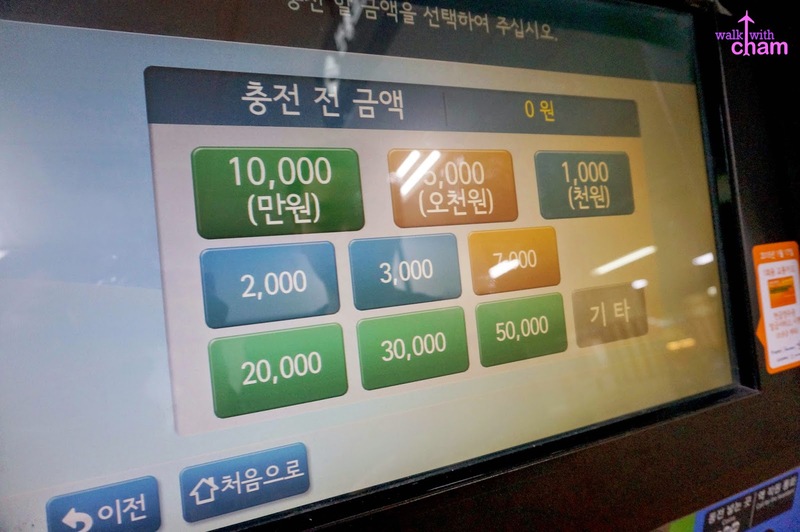 Press on your preferred amount, we chose 10,000 won (P407) on the first day and eventually loaded up again for 5,000 won (P204) on the fourth day. -Pay only in denomination of 1,000, 5,000 or 10,000 won. - Now you can use your T-money Card where ever you go. 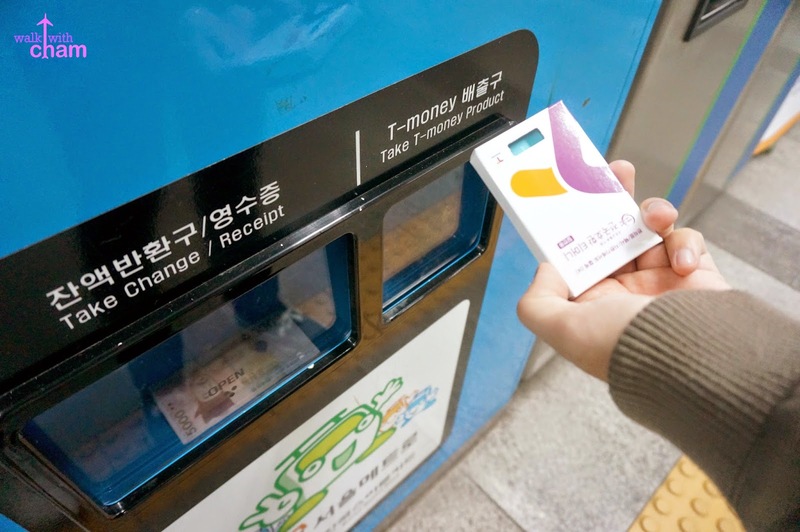 Using a T-money card is very convenient. You don't have to buy subway ticket every time you use the train. And also the fare is cheaper when you use it as compared to the single journey ticket. 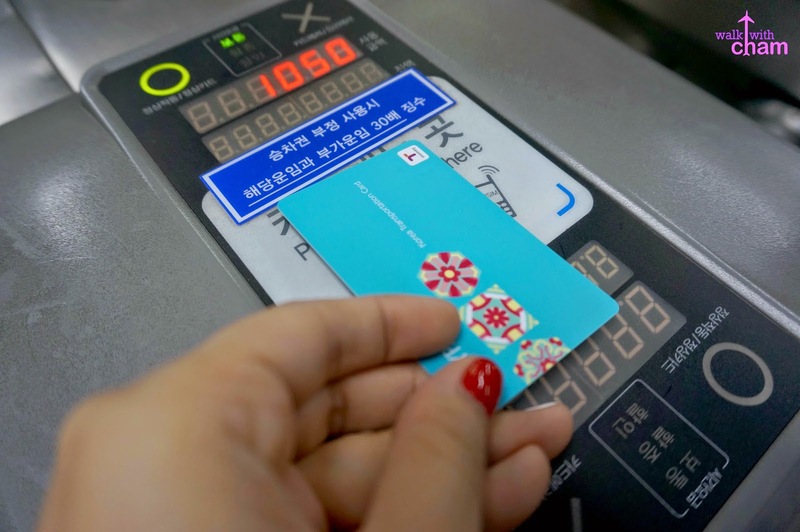 T-money card can also be used on public buses and some taxis. Recently it can also be used at public telephones, convenience stores and some vending machines. 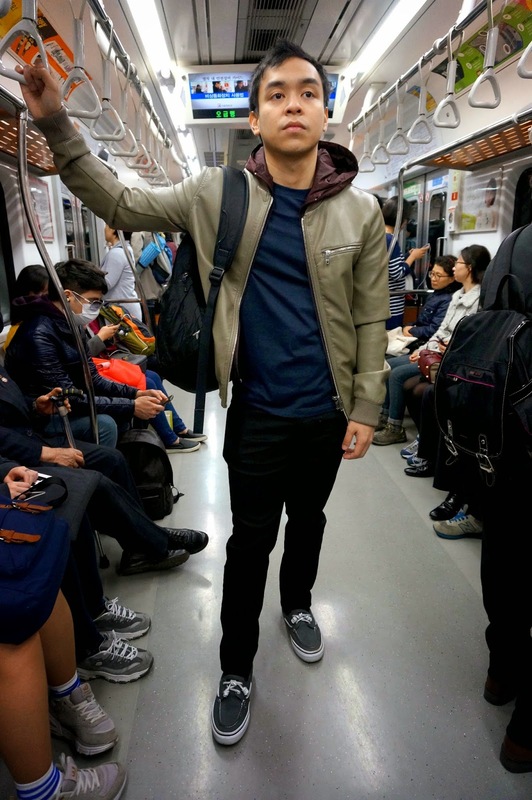 If you've tried riding subways in Japan, Hong Kong, Singapore or Beijing. 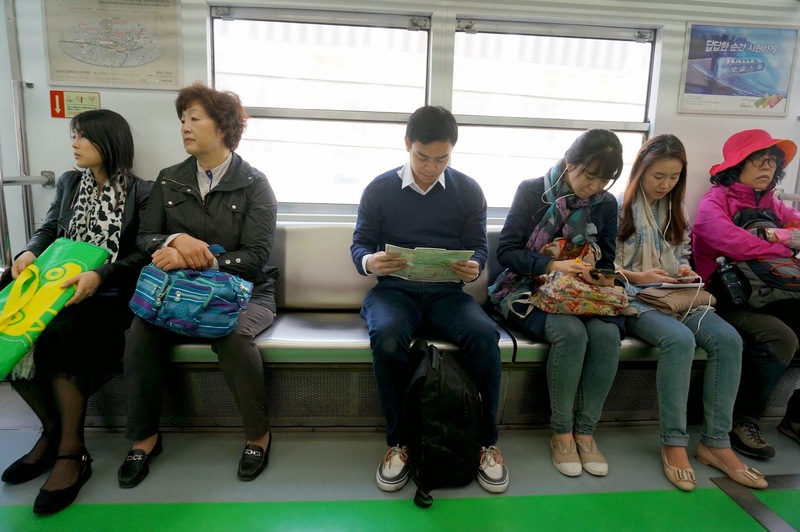 You'll definitely survive riding the Seoul Subway. 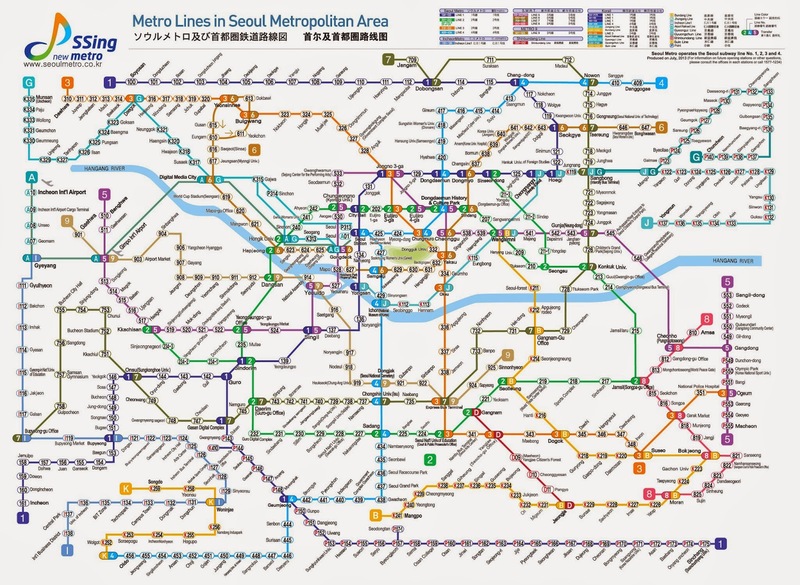 Seoul Subway has numerous lines that service different destinations. Currently consist of lines 1-9 plus Jungang Line, Bundang Line and Gyeongui Line. So most of the time you have to change lines in order to reach your destination. It is always important to first know where you are going, read sign boards and if you think you're getting lost do not hesitate to ask. Subway line operates from 5:30am to 12:00 mn. 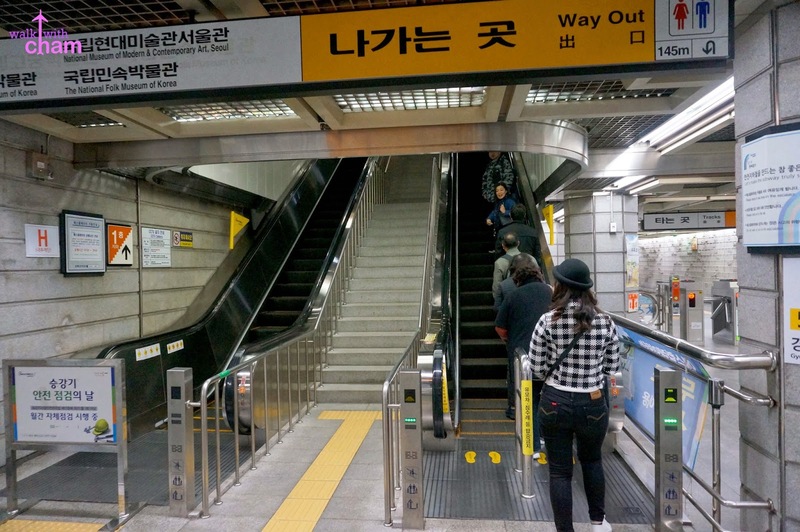 As I had blogged before Seoul subway is one of the most modern subways I've tried (maybe even better than in Tokyo). It's clean, organized and mostly crowded, you can see numerous shops and restaurants as well. There are toilets too. 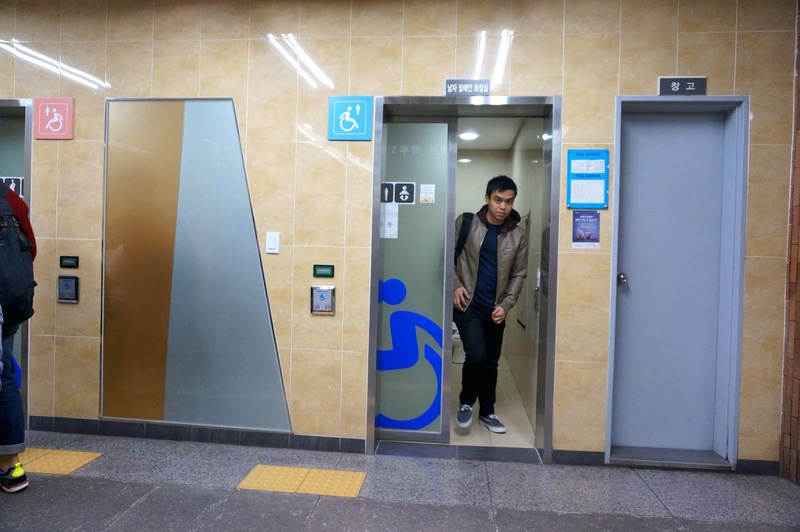 We came across a hi-tech toilet that has electronic door and spacious room which Mike used and eventually learned that the particular toilet is for elderly and disabled people. Ooopss. Hi, can we buy and load T-Money card using a credit card? Thanks! Hello there, I'm not sure if you can use credit card to purchase Tmoney card. We paid in cash every time. Hi, there good writing about traveling to Korea. 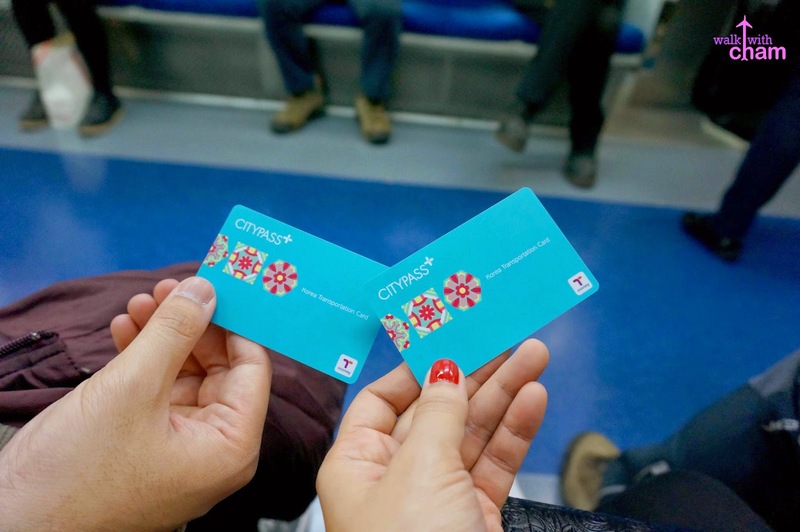 As you know, if you have T-money card in Korea, you can take all transportation like bus, metro. So i want to introduce some good information about transportation tips for you. 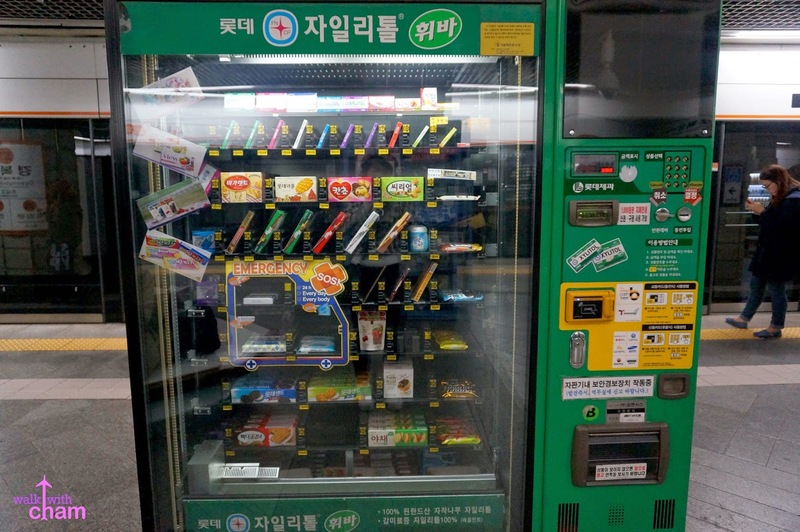 In ICN, you can buy a good packages about transportation. At travel center(located in B1 in ICN), you can purchase 'express train and T-money card' , 'express train and international taxi' and 'express train and EG sim card'. These are three different types of packages so you can choose whatever you want. With express train, you can go to the 'Seoul station(Central of Seoul)' and you can choose between other three option whatever you need. 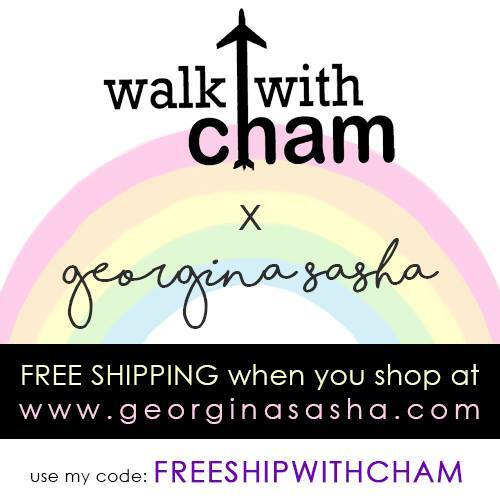 They have all reasonable price so I strongly recommend these for you. If you are interested in these, please visit to travel center in ICN when you will come to Korea. Thank you.